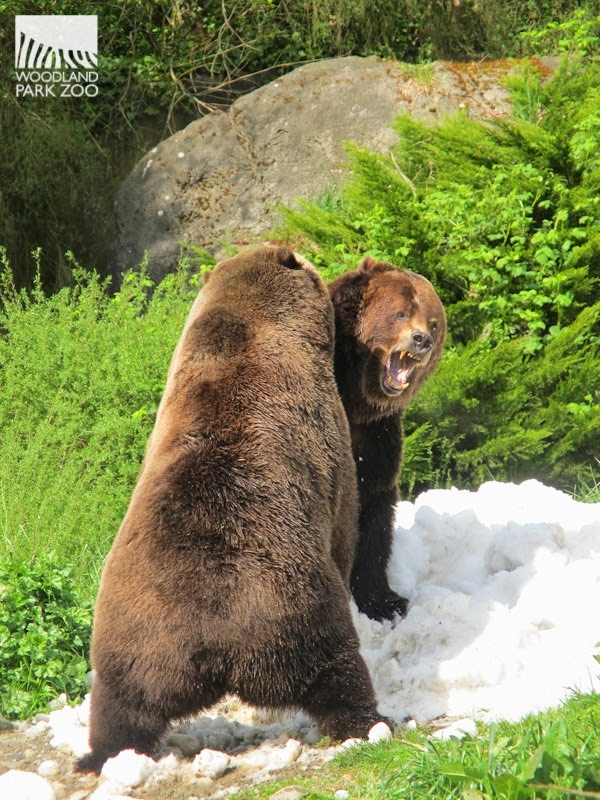 Today, grizzly brothers Keema and Denali celebrated two decades by diving face-first into piles of snow courtesy of Crystal Mountain Resort. Hidden inside the snow were special birthday treats, from meaty knuckle bones and fish, to peanut butter and marshmallow fluff. 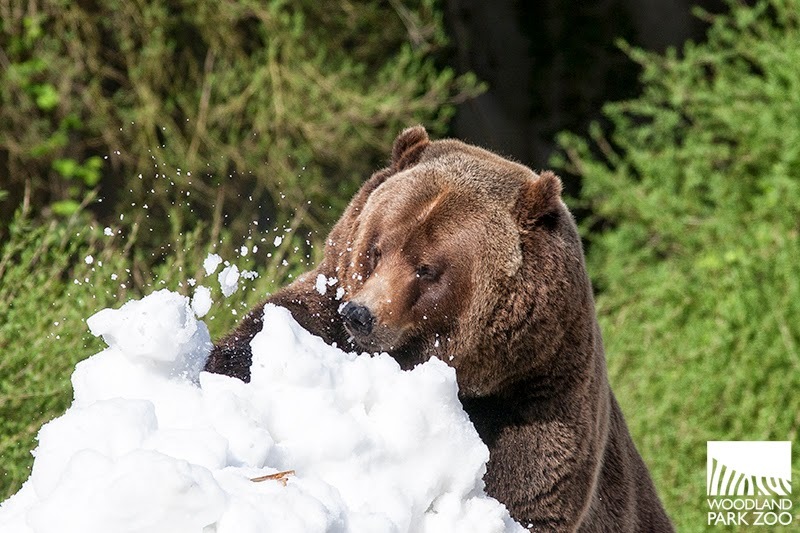 Video: Grizzly bear snow battle. Produced by Ryan Hawk/Woodland Park Zoo. 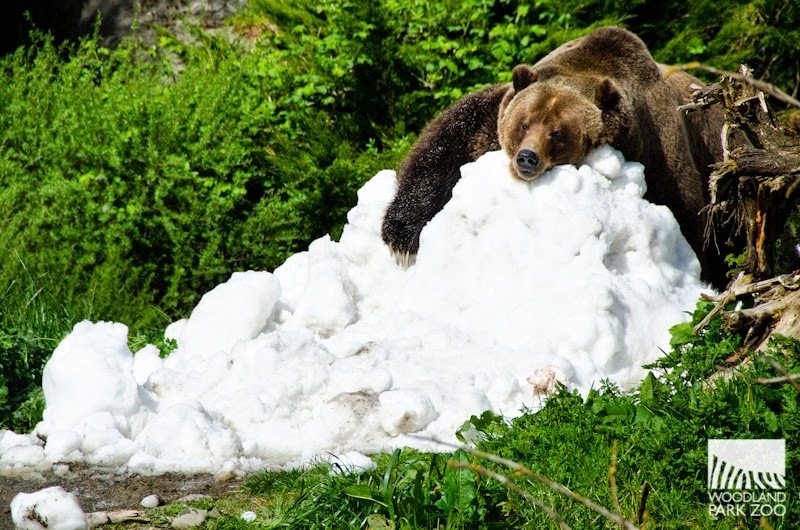 Though the bears technically turned 20 back in January, they slept right through their big day as bears tend to do during their winter slumber. So we held off on their birthday surprise until today. 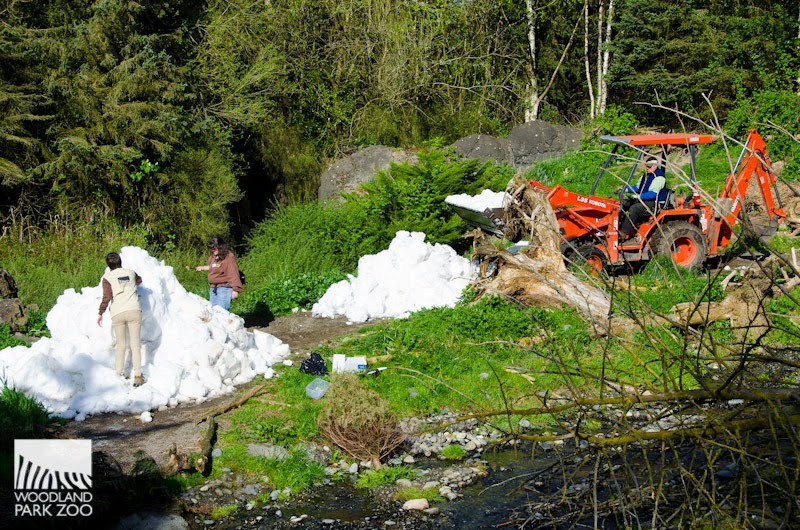 This morning, our friends from Crystal Mountain trucked in piles of snow fresh from the Cascades and loaded it into the exhibit. Keepers and volunteers lovingly tucked Keema and Denali’s favorite treats into the snow. 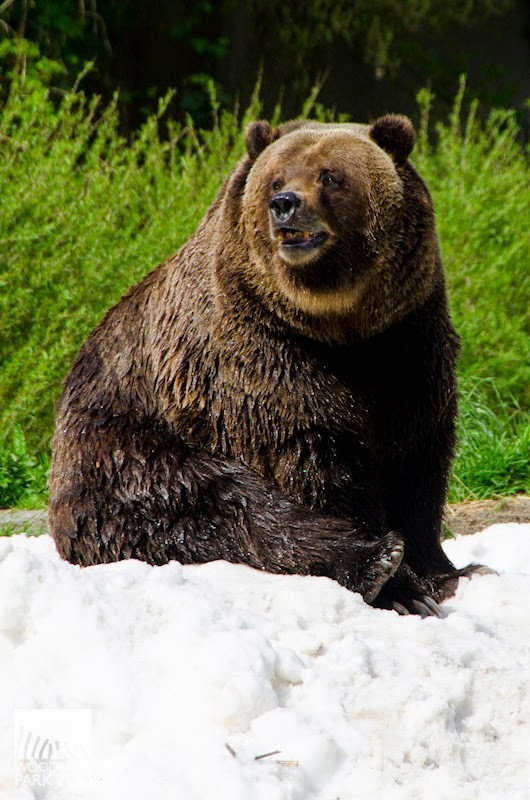 Between the smell of the food and the feel of the soft snow, the bears were in for a treat! Use your snout and claws to dig in. When delicacy doesn’t get the job done, SMASH! This is your pile. You must protect it. Sharing is caring, but everyone has limits. Feel the tickle of the cold snow on your nose and tongue. Invite a friend. 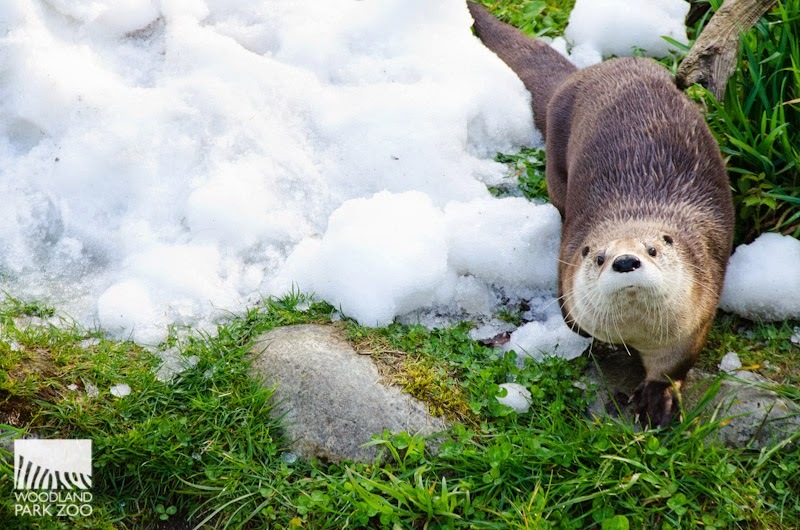 The river otters got their own little pile of snow to play with. 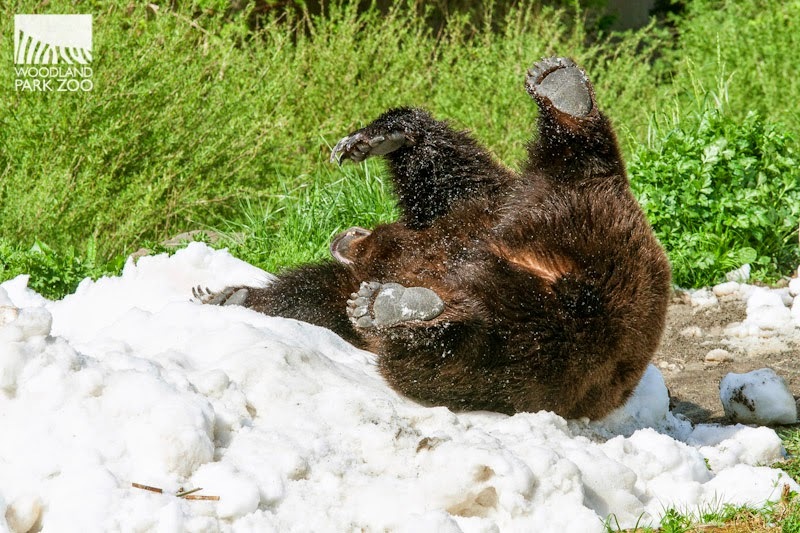 Your next chance to see the bears tear into special treats is Bear Affair: Living Northwest Conservation presented by Brown Bear Car Wash, coming up on June 7. Throughout that day we’ll set up scenes for the bears to smash through—from a backyard wedding to a hiker’s camp—while showing you what steps you can take next time to bear-proof your yard or campsite and coexist safely!